Has it really been almost two months since I did a repack war? For shame on me. Let's not waste time (as the Hawks get to kicking the Kings but in 20 minutes) and get this written up. Here we go. 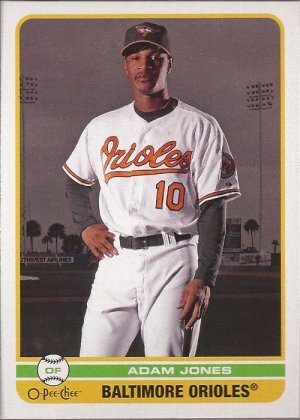 Start off with 07 Topps. I could like the black more if the foil wasn't on it. The black works nice on 1971; it doesn't here. That being said, a card to add to the bunt binder is a decent pull. Good ol' Upper Deck Masterpieces. I still need to get a box of these just for the joy of ripping them open. 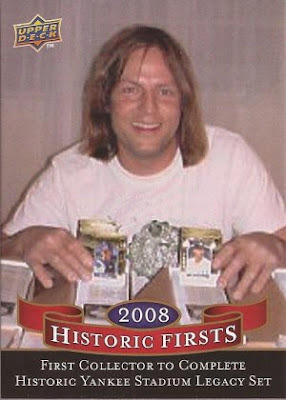 Rookie card and high cuffs - nice! One of the two packs of Goudey in this repack box. 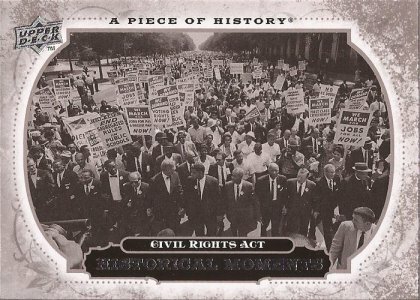 This is the 2008 release. There is a mini of Kobe, but I prefer the older look, so I am giving the win to Palmer. 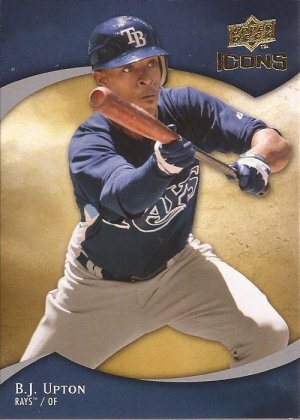 2008 Upper Deck. Man - I do love this look of these cards. 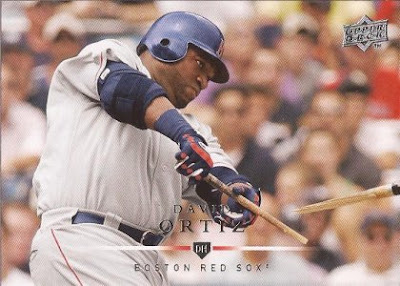 And while I am not a fan of Ortiz in the least, we have an addition to the broken bat collection. Perfect timing. More Upper Deck, this time their Piece of History set. 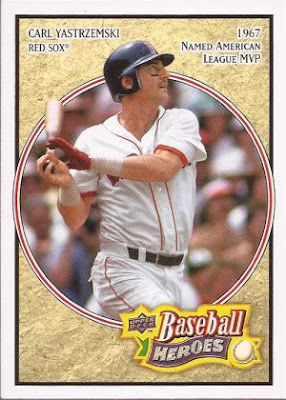 Go ahead and guess how bad the 4 playe cards are when the nod goes to this card. Total snooze pack. 2008 Topps Chrome. A blue refractor of Miggy. Not sure the hit rate on the blue, but a great card. No, I did not get a pack of 92 Upper Deck. I actually got one of those Tristar repack...er....packs. Five cards in then. 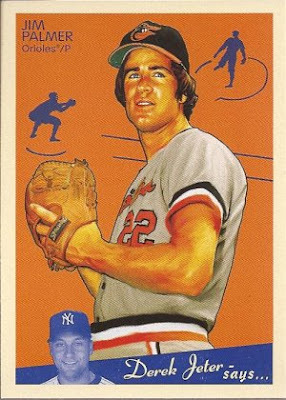 With a name like "Clete", you get to have your card scanned. More Upper Deck. 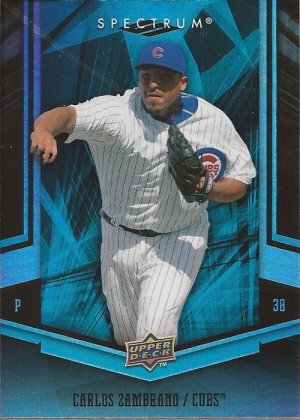 This repack box was really heavy with UD and not so much with 2010 & 2011 Topps like I usually find. 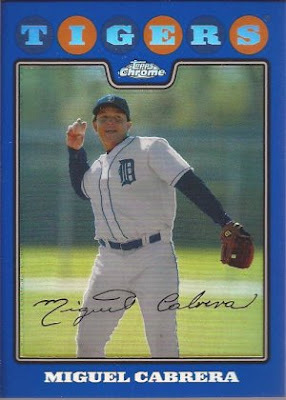 Sure it's a Cub, but the blue works. Heroes. Yaz. Any questions? Didn't think so. Moving on. As much as I love 2008 UD, I hate 2007. Horrid design. At least the photographer got a good shot. Here is the other pack of Goudey. 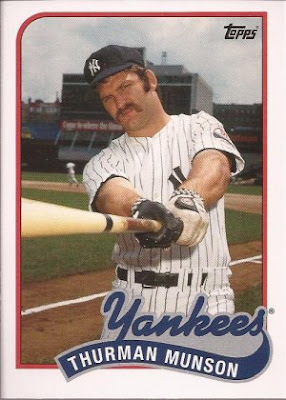 Why is this guy not in the Hall? 20xx Bowman. I threw away the wrapper and since all the frigging designs are identical, who the hell remembers what year this is. 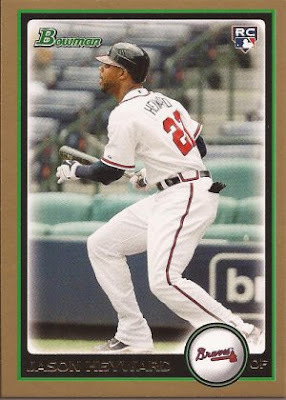 But a Heyward rookie card is a nice pull from the pack. 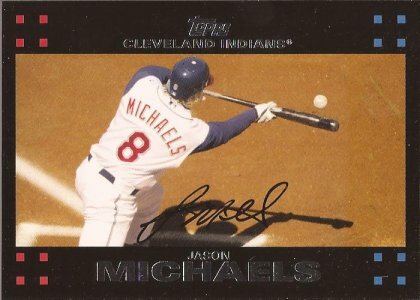 I believe I pulled this from a 2008 UD First Edition. 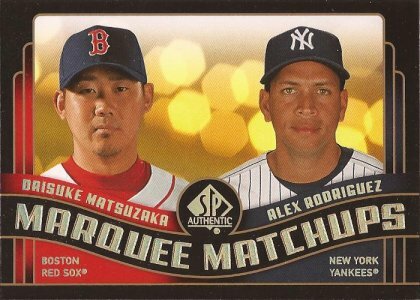 The rest of the pack was forgettable, so we are going with this Marquee Matchup card. These cards are pretty nice in person. Ugh. Sooner or later I get to this pack of crap. I will say this is a nice photo, with the natural dark background to the crisp white uniform. Here comes the 2011 Topps packs. Well - pack. This is the only pack of 10 or 11 in the box. Usually I get 4 or 5. How great is this photo? What I cannot figure out is where this photo is. It's not Yankee Stadium behind Thurman. Maybe their spring training site? Ugh #2. Here is another pack I would like to see less of. This is the only halfway decent card in the pack, and it would make it to the bunt binder if it wasn't already in a space. Yup. Two Tristar repack packs in the box. Looks like Reggie is outside a high school. Tristar Prospects (or something like that - again, threw away the wrapper). 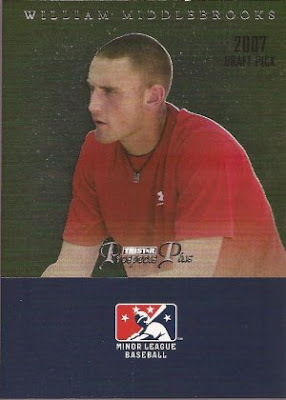 Total garbage except for this Middlebrooks. 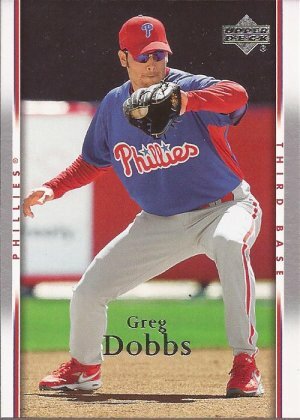 2009 UD First Edition. 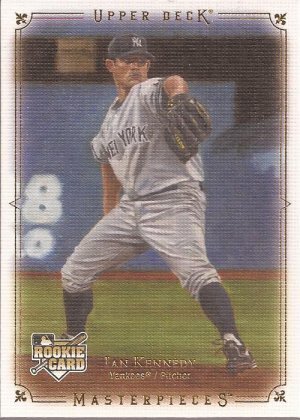 I had no clue someone finished the Yankee Legacy set. 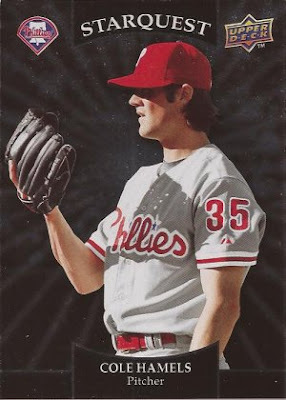 The best part (or worst, depending how you look at it) is how crappy the image on the card is. The pixelation is really back, like this image was pulled from a You Tube still. Like the title suggests, no big hits in this box. Got a few cards for the personal collections, but nothing ground shaking. Lot of PWE fillers in this box. 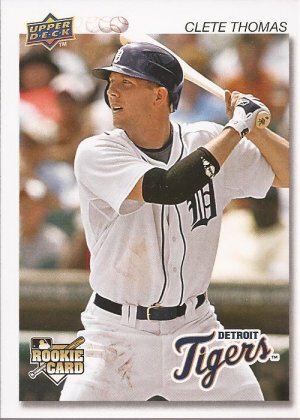 I really really wanted Clete to pan out for the Tigers...but I guess it wasn't meant to be. 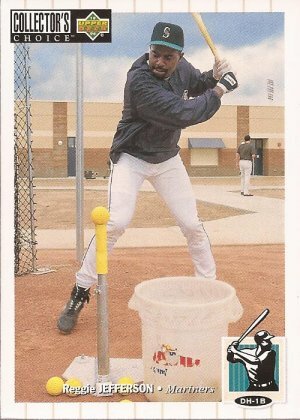 Still I hope he can find his way back to the majors some day. 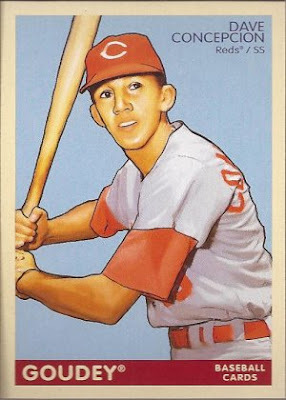 That Concepcion is cartoonish, like more cartoonish that normal for that type of card. That Thurman Thomas card is awesome... but unfortunately I can't help you with the stadium. And the video was pretty cool too. Love the Thurman. The Concepcion is creepy.